There are lots of U.S based bloggers out there who write about how you can fly for free with a little bit of travel hacking, but these posts are usually geared towards Americans. I started to grow tired of reading about frequent flyers collecting thousands of bonus sign up points, free flights and free upgrades while I have zilch! Last year I took over 30 flights and people often said to me ‘you must have so many air miles with all the travel you do’. In reality, barring a few Emirates air miles from a trip to Australia, and a few on Delta from my trips to the States…I had nothing to show for all my travel. This was due to a combination of reasons…flying budget airlines with no frequent flyer schemes, not owning an air miles credit card and just being completely uneducated about collecting air miles the right way. So, since I’m always into discovering new life hacks, I decided to do a ton of Internet research into collecting air miles if you’re from the UK. The result is this blog post and I will endeavour to keep it updated as and when new information arrises. For reviews on all UK air miles credit cards you might want to check out the likes of Head for Points or Flights and Points, which are packed with information about Avios and other schemes. 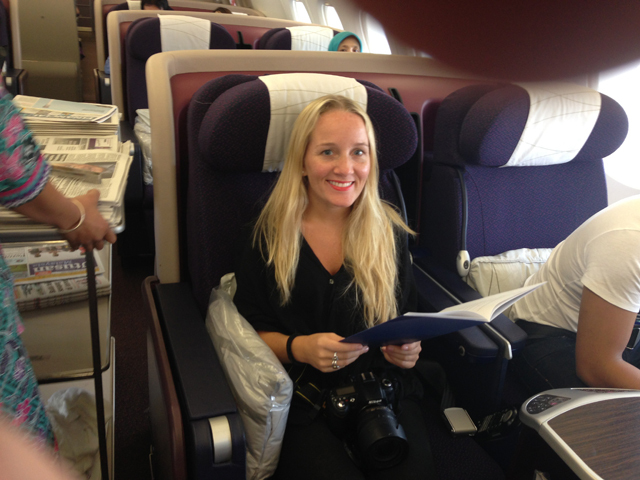 Want to be flying Biz Class on air miles? To put it simply, travel hacking usually involves collecting air miles to redeem against future flights, hotels and other travel benefits. The further you fly, the more miles you get. Major airlines usually have their own frequent flyer program and most, but not all, are part of one of the three major alliances- Star Alliance, oneworld and Skyteam. Being a member of an alliance allows the airline to offer more seamless travel and provide a larger route network to more destinations with its partner airlines. Alliances benefit frequent flyers because they can collect air miles with any of the member airlines on one single account and spend them on flights with any member airline. Here’s where I got it completely wrong in the beginning. Every time I flew with a different airline I would sign up for their frequent flyer scheme and collect the air miles for that flight. The problem with this is that all my air miles were spread across different airline accounts, making it hard to build up enough miles to use them for anything worthwhile. What I should have done is signed up to the frequent flyer scheme of one member airline in each of the three alliances. For example British Airways in oneworld, Delta Air Lines in Skyteam and Lufthansa in Star Alliance. If I fly with any of the partner airlines within that same alliance, I can collect miles on the one frequent flyer account, enabling me to accrue miles much faster. So for instance, if I have a British Airways account I could fly American Airlines or Qantas and still earn the air miles on the one BA account. Sometimes airlines run air miles deals where you can collect double air miles if you purchase a flight within a certain period. Sign up for the newsletters of these airlines so you know when they’re running these air miles sales. However, it’s not so easy collecting air miles in Europe if you’re constantly flying with budget airlines such as Ryanair, Easyjet (although Emirates will let you spend Emirates air miles on Easyjet), Wizz Air and Vueling as they aren’t part of any alliances. That’s where credit cards can really help you earn miles fast. Air Miles credit cards can help you score air miles much faster. Instead of earning miles every time you fly, you earn them every time you spend on the card. Typically you can get thousands of bonus points when you sign up, although this depends on the card you’re applying for. Once you earn enough miles you can use them to get free flights, although you still have to pay the taxes and fees. Spend a lot– the more you spend the more points you get. Fly a lot– If you’re a regular traveller then it’s worth signing up for an air miles credit card, but if you don’t need the flights there are better credit cards on the market for you, such as cashback credit cards and balance transfer credit cards. Are flexible– Availability of flights is more restricted when redeeming miles as opposed to paying out of your own pocket. You’ll need to be flexible and available to travel on the days/times that are available. Aren’t Looking to Borrow– You should be paying these credit cards off in full every month. Spend on the card to get the miles, then use the money from your current account to pay it off in full. If you’re looking to borrow money, there are 0% spending cards and balance transfer cards. It would make much more sense money-wise to get a card with a low interest rate than to get the travel perks. Use the card for ALL your spending. Use it for all your day-to-day purchases instead of cash or debit cards. Make sure you pay it off in full every month, otherwise the interest rates on the card completely undermine the travel benefits you get. Add another card holder to increase your spending on the card and therefore your air miles. Redeem the miles on long-haul flights or business class flights, as the taxes and fees on short-haul European flights are often more than the price of a flight on a budget airline. Take advantage of promotions and bonus offers on sign-up. Don’t withdraw cash on the card, as you’ll be charged a fee for doing so. If you don’t quite have enough miles, you can purchase miles to top them up. But I can’t get an air miles credit card? To get an air miles credit card you need to have a decent credit score. But what if that’s not you? Let’s deal with the first one. You might be someone who has never had a credit card, particularly if you’re just out of university. This is a catch 22 situation because if you don’t have a credit card, you can’t build a credit rating, but you need a credit rating in order to apply for a credit card. Get yourself on the electoral roll– If you’re not on the electoral roll it will be very hard for you to get credit. You can register to vote on About My Vote. Apply for the right credit card– Let’s face it, if you’ve never had a credit card, you’re going to have to prove yourself first. Some banks offer credit cards for ‘initial’ credit cards for first timers or cards to improve your credit rating. They might give you a low limit and the interest rate may be high, but if you can keep up the monthly payments, you’ll soon build up a good credit history. Search Money Supermarket for Credit Builder cards and check out Money Saving Expert’s list of bad credit credit cards. Space out applications so that it doesn’t hurt your credit score– If you make a lot of applications within a period of 6 months, banks may see you as desperate for credit and reject you. If you have a credit history but you are getting rejected for credit cards, it can be for a number of reasons and different banks have different criteria. The best thing to do is focus on improving your credit score. Get a copy of your credit report and score from Experian or Equifax, or both. You can get your first 30 days membership free and then after that they will charge you a monthly fee by direct debit, so make sure you close your account as soon as you’ve seen your credit report. Check any incorrect details and see some of the negative factors contributing to your credit score. If you don’t want to do this, you can also order your statutory files for just £2 online. Always make payments on time– any missed payments can hurt your score. If there are any missed payments on your credit file, it’s worth contacting your bank, lender or mobile phone provider to see if they’ll remove them. If they won’t do this then you can contact Equifax or Experian to put a ‘Notice of Correction’ on your file. This is basically a note written by you that explains your version of events and explains why the information could be misleading. Close unused cards– If you have several different credit cards available to you then banks might think you have access to too much credit and could blow it all at once. In this case, it may be a good idea to close any unused cards you have. Having said that, evidence of long-term relationships with your bank can be a good thing, so avoid closing your oldest credit cards. Pay off debts– If you’re using ALL of the credit available to you and only making the minimum payments, then this can make you a less attractive customer. Work on paying off your debts and aim to only be using around 20% of your available credit. Avoid the rejection spiral– You apply for credit and get rejected, so you apply for credit again and get rejected. This hurts your credit score and puts multiple searches on your file. Focus on the things mentioned above and apply for your air miles credit card when you feel you’ll have a good chance of being accepted. I have always been under the impression that air miles credit cards are much easier to get in the U.S and that there is much more choice. I’m not sure whether this is actually the case or not, but at one point there were very few options for people from the UK. This is slowly changing and there are a number of airline credit cards now available, as well as the Avios cards. If you’re thinking about applying I recommend using the Money Saving Expert eligibility checker tool- something I have always found useful. You can find out your percentage chance of getting one of the major air miles credit cards, without putting a search on your credit file. The main point scheme in the UK is Avios, which can be used on flights with British Airways, Are Lingus, Iberia and now Vueling. You can earn Avios points with air miles credit cards or through Tesco Clubcard and even fuel. Click here for information on how you can collect Avios. 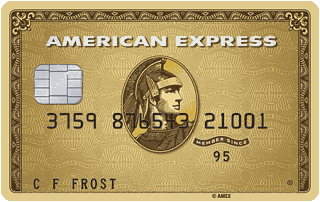 The first card I’d recommend you sign up for is the American Express Preferred Rewards Gold Card. This card has an annual fee but it is free in your first year. If you spend £2000 in your first three months you get 20,000 Membership Rewards points, which is enough for a return ticket somewhere nice! This is the biggest sign up offer you can get and if you connect your British Airways Executive Club account, you can convert the points over to Avios. Representative 15.9% APR variable based on borrowing £1,200. Interest rate for purchases: 15.9% p.a. variable. Collect one Avios for virtually every £1 you spend. Redeem your Avios for a British Airways flight and if you’ve spent £20,000 on your Card within a Card anniversary year you’ll receive another ticket for a companion, for the same flight and cabin. Redeem your Avios for a British Airways flight and if you’ve spent £10,000 on your Card within a Card anniversary year you’ll receive another ticket for a companion, for the same flight and cabin. Representative 22.7% APR based on £1,200 borrowing. Purchase rate: 17.95% p.a. 1 Avios for every £1 spend on the American Express card and 1 Avios for every £5 spend on the visa card. Representative 17.9% APR based on a limit of £1,200. Purchase rate: 17.95% p.a. Up to 56 days’ interest-free period on purchases (from the date of transaction) if you pay your balance in full and on time each month. Representative 23.7% APR based on a limit of £1,200. Purchase rate: 13.95% p.a. Collect 1.25 Avios for every £1 of eligible spend on the Premier Avios American Express Card and 1.25 Avios for every £5 of eligible spend on the Premier Avios MasterCard. 0% for the first 6 months on balances transferred within the first 90 days (3% fee applies). You’ll also collect 1,500 bonus Avios for every whole £1,000 balance you transfer from a single provider. Tesco Clubcard- Every time you purchase your everyday groceries or fuel at Tesco you can earn clubcard points if you sign up for the Tesco clubcard. These points can be converted into Avios, meaning your weekly trip to the supermarket can add up to flight rewards. You get 600 Avios for every £2.50 in Clubcard vouchers. Tesco Clubcard Credit Cards- With a Tesco Clubcard credit card you can collect even more clubcard points when you spend. More clubcard points means more Clubcard vouchers, which means more Avios. This is ideal if you shop regularly at Tesco. Fuel- You can earn Tesco Clubcard points when you purchase fuel at a Tesco filling station, which can be converted into Avios. You can also obtain a Shell Driver’s Club card and collect 10 Avios for every 20 litres of Shell fuel. 17.9% APR based on a credit limit of £1,200. 17.9% p.a. on card purchases. Earn 2 Flying Club miles for every £1 spent on everyday card purchases on the American Express credit card and 1 Flying Club Mile for every £1 spent on the Visa credit card. Representative 16.9% APR based on a credit limit of £1,200. Purchase rate: 16.9% p.a. 0% on balance transfers for up to 12 months, from the date your account is opened (3% handling fee). This offer only applies to transfers made within the first 90 days from account opening. 1 award mile for every £1 spent during the first 6 months on the Visa. 1.5 award miles per £2 spent thereafter. 0% for 6 months from the date your account is opened on Balance Transfers made within 90 days of account opening (2% handling fee). 0% for 6 months from the date your account is opened on Money Transfers made within 90 days of account opening (2% handling fee). 250 additional Etihad Guest Miles on every car rental booking made at Budget. 300 additional Etihad Guest Miles on every car rental booking with Avis. 0% on money transfers for 6 months from the date your account is opened (2% handling fee). Your balance needs to be transferred within the first 90 days of your account opening. Earn 2 miles for every £1 you spend directly with Emirates airline on the American Express card and 2 miles for every £2 you spend directly with Emirates on the Visa card. 0% on Balance Transfers for 6 months from account opening (2% handling fee). Balance transfers must be made within the first 90 days to receive this offer. 0% on Money Transfers for 6 months from account opening (2% handling fee). Money transfers must be made within the first 90 days to receive this offer. Representative example: 17.9% p.a. (variable) on card purchases. This is equivalent to 17.9% APR representative (variable) based on a credit limit of £1200. Up to 3 additional cardholders at no extra cost. 17.9% p.a. (variable) on card purchases. This is equivalent to 17.9% APR representative (variable) based on a credit limit of £1200. 0% balance transfers for 6 months from account opening (2% handling fee). This offer applies to balance transfers made within the first 90 days. 0% money transfers for 6 months from account opening (2% handling fee). This offer applies to money transfers made within the first 90 days. If you pay your balance in full and on time, you can benefit from up to 56 days interest free credit on your purchases. For my U.S readers, I suggest you get started with travel hacking by reading Nomadic Matt’s guide to picking a travel credit card and some of the other frequent flyer sites like The Points Guy. 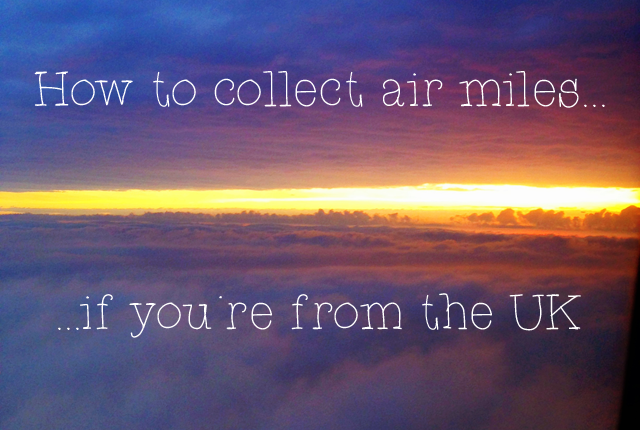 Did you have any more tips you’d like to add to this page on how to collect air miles if you’re from the UK? Visit my contact page and send me an email. If you’re interested to learn more about how you can save money on airfare, check out my guide to finding cheap flights. Advertising notice: Some of the links on this page are referral links, so both you and I will receive bonus points when you sign up for the card.